The used armored SUVs for sale on our website have nothing in common with what you’d typically describe as “used.” We offer a host of used armored Suburbans/trucks for sale whose custom designs feature state-of-the-art technology and engineering for maximum protection no matter what your security needs. Choose from a wide range of SUVs including the Cadillac Escalade, BMW X5, Audi Q7, Chevy Suburban, GMC Yukon Denali, Lexus 570, Ford Expedition, Mercedes G550 and more. Clients from hotspots all over the world depend upon www.usedarmoredvehicle.com to provide them with vehicles they can count on when the chips are down. We are honored to have their trust, and work hard to get to know our clients so that we can address their security needs in custom fashion. Ours is the most respected name in the armored car industry. Discover why for yourself. Choosing from our used armored cars/trucks for sale allows you to factor in even more affordability while still receiving a state-of-the-art armored vehicle. Our inventory offers more diversity than you’ll find anywhere else, and the time we take to get to know you as a client and our extreme attention to detail bodes well for the security vehicles you’ll depend upon. 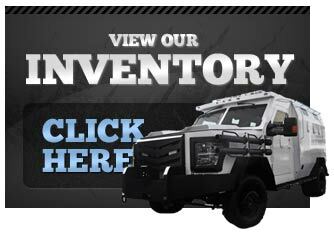 One look at our inventory of used armored Suburbans for sale and you’ll know you’ve come to the right place for pre-owned armored vehicles. The Armored Group has a very loyal clientele, and with good reason. Our clientele can be found in some of the most volatile spots in the entire world. One they found a security resource they can count on they stick with it, and we are one such resource. 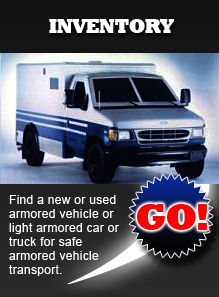 Upgrade the safety of your security vehicles by purchasing them from the professionals at www.usedarmoredvehicle.com. You can reach our team by calling (602) 840-2271. We look forward to introducing our used vehicle options and customizing process to you.